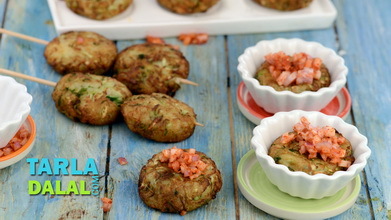 Rich, richer, richest – you will be at a loss how to rate these creamy and soft Dahi ke Kebabs. 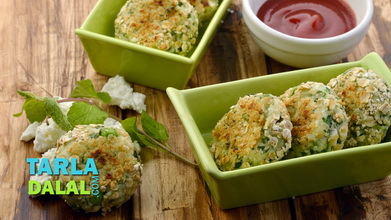 Interestingly, hung curd forms the main ingredient of these kebabs, supplemented by paneer and bread crumbs for volume and shape. 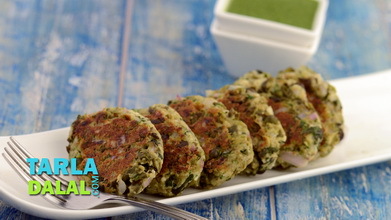 This trio is perked up with herbs, masalas and cashewnuts, not to forget the innovative addition of deep-fried onions, which gives an irresistible crunch and intense flavour to the kebabs. 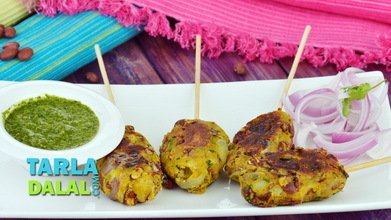 This kebab is quite different from the lot, because it has a unique texture, which is not crisp, but soft and creamy with the mild crunch of onion in between. 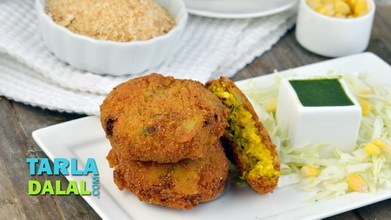 Enjoy this unique starter immediately with green chutney. Divide the mixture into 8 equal portions and shape each portion into a 50 mm. 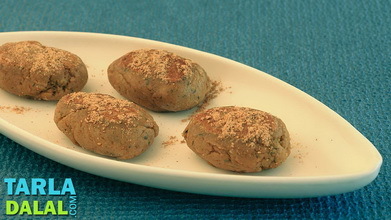 (2”) diameter round kebab. 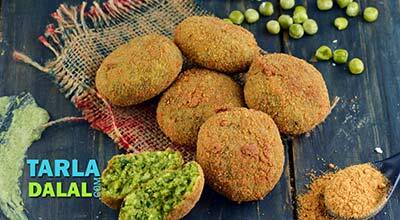 Roll each kebab in bread crumbs so that the kebabs are evenly coated from both the sides. 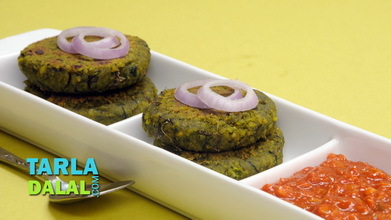 Heat the oil in a deep non-stick kadhai and deep-fry 2 kebabs at a time till they turn golden brown in colour from both the sides. Drain on an absorbent paper. 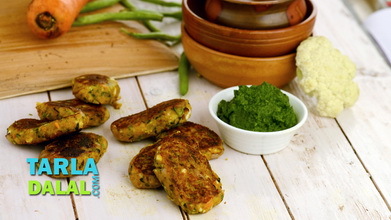 Serve immediately with green chutney.